Lithosan Basim Yayim Ambalaj Sanayi ve Tic. Bilim İlaç San. ve Tic. 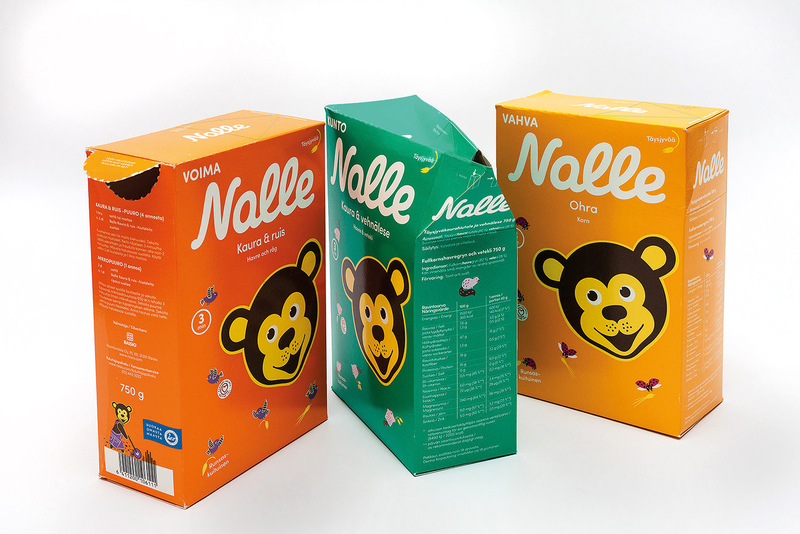 The development of this folding carton had three objectives: (1) avoiding mix-ups of two different medications, (2) saving costs by eliminating the plastic separators and additional labels, and (3) simplifying the non-valueadding processes of the packaging procedure. The original package consisted of two different medicines in blister packs and an inhaler separated by plastic separators and labels. Significant cost saving was achieved by eliminating the plastic separators and additional labels. 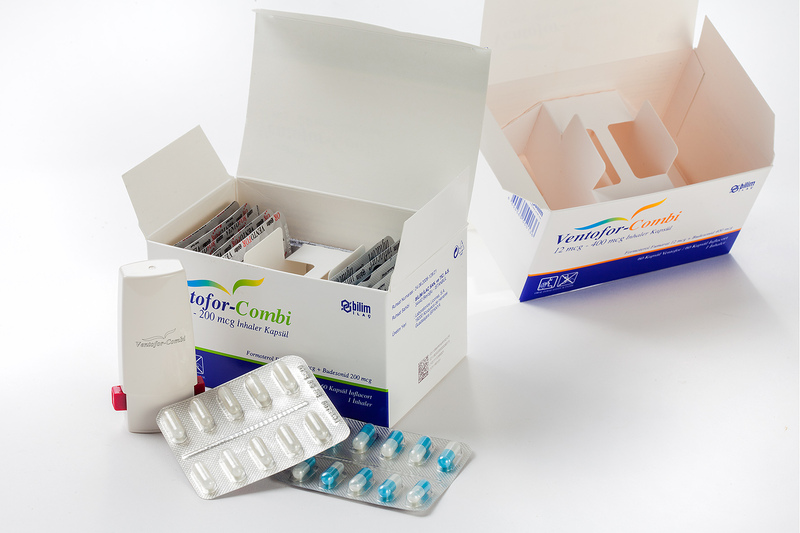 The new design ensures that the two different medications are not mixed up and firmly keeps the three products of various structures in place as well as permitting easy access to the products. Furthermore, this innovation resulted in simplification of the non-valueadding processes of the packaging procedure. Lean and agile manufacturing trends are shaping the future of pharmaceuticals, and this innovative compact design fully fits the industry’s new approach. The key to this particular pack and the most appealing aspect was the consumer benefit. As with all packaging in this category, care of the consumer through clarity of communication is key. The design structure clearly separates the 2 different medications and yet also accommodates 3 products of different structures. Plastic separators from the previous packaging have also been eliminated. Entrant: Carton Producer | Lithosan Basim Yayim Ambalaj Sanayi ve Tic. A large-scale 3D Christmas village display – created out of five houses assembled together with an easy-to-use interlocking mechanism. Creating visual depth, with varying house depths and several lock-on parts, such as an oriel on the middle house and a canvas blind on the right house. As an extra, the middle house has a placed wheel you can spin and select the current date, open the correct window and enjoy the sweets. A playful and functional element consumers love to use and play with. The product itself feeds the skin with intensive moisture. To convey this effect, a special tactile surface with a soft touch varnish is used. This gives customers the pleasing feeling of smooth skin. 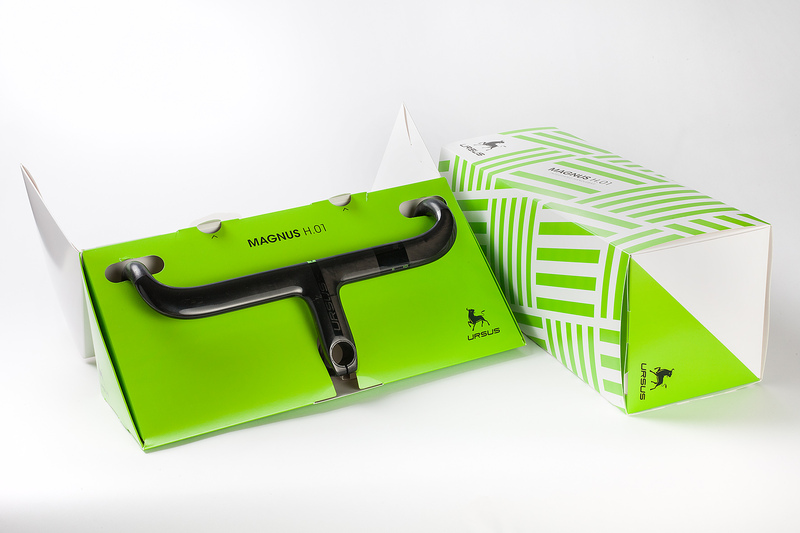 The black basic colour on the folding carton reflects high quality, luxury and elegance and makes the ampoules, which are printed in different colours, appear in a perfect light. 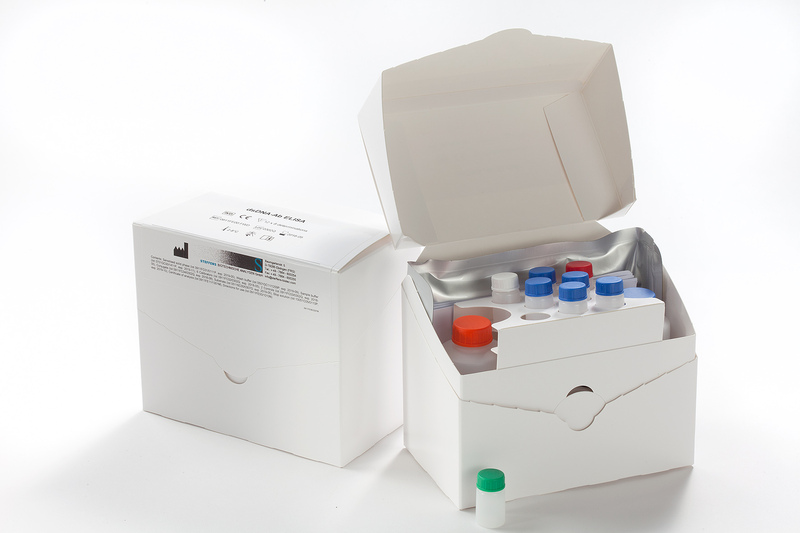 The hinged insert protects and holds the products and when the box is opened the ampoules are raised, allowing for easy and comfortable access. The toned, dark graphics with colourful, shiny accents and fine embossing are associated with the premium whiskies inside. 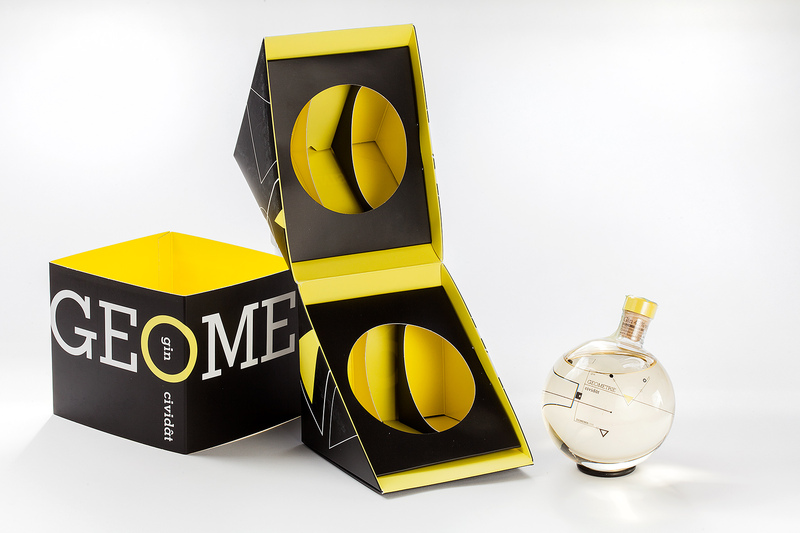 The packaging opens like a book, revealing its secrets – instead of one bottle there are two. Flaps hide the cut edges, lids made with several layers of folded board, special gluing and premium material make this packaging exceptional. The packaging is machine glued, manually erected, filled and presented as a special, noble gift box for all whisky fans. The ampoules are secured carefully by both the lid and base – perfect protection against breakage or premature removal, even without a PET window foil. Opening of the pack creates a unique “wow“ effect which is difficult to forget. In addition, the packaging is extremely efficient: finishing is in-line with soft-touch varnish. 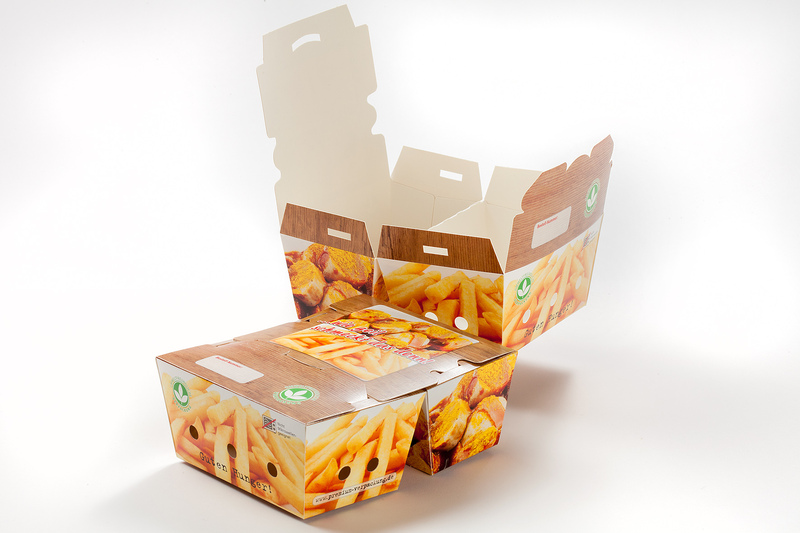 The cartonboard construction can be recycled fully giving it a sustainable quality. 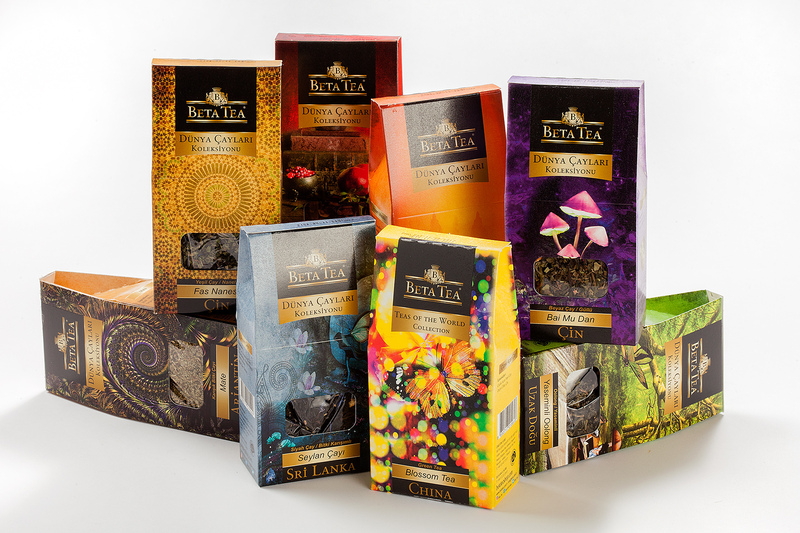 Fourteen different kinds of teas are packed in an elaborate, authentic folding box – with each design displaying significant differences. The all-encompassing harmony is conveyed in particular by the graphics, the attractive print, the special varnish and the distinctive tactile surface. What makes the brand even more appealing is the distinguishing character of the “packaging family” on the shelf. 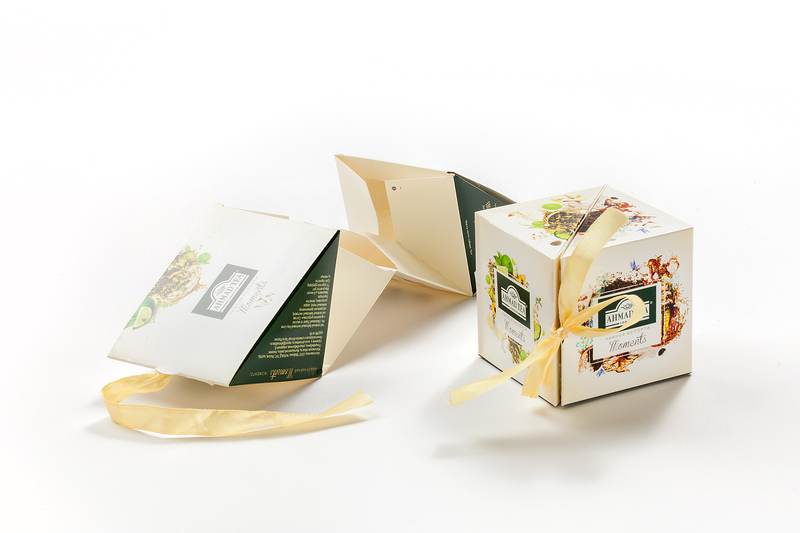 When the ribbon around this tea box is untied, the packaging comes to life and displays its attractive interior. The smart structural design and the quality of the cardboard were selected by the brand owner. The result is an exclusive, delightful present made of cartonboard, non-glued, and decorated with a ribbon. It offers sustainability and is easy to manufacture. A compact and extremely elegant affair. 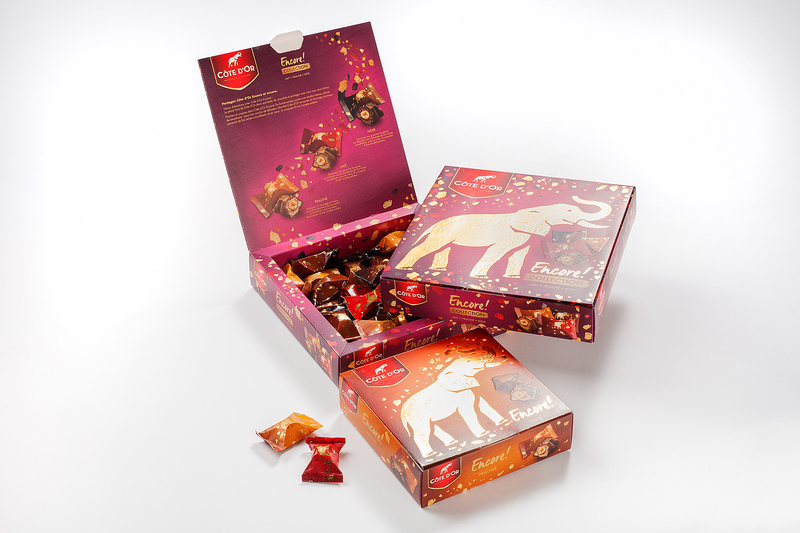 The gold foil elephant looks as if it has been attached by hand – the appearance of the packaging by itself is more than convincing in terms of the quality of the contents. The elegant look with its discerning hot foil embossing also increases shelf attractiveness. The hollow frame design is an invitation to touch as well as being easy to assemble. Drink cup holders for stadium and concert standing areas. The cup holder is simply attached to a railing, the cup with the drink placed inside and your hands are free for clapping, dancing or cheering. The drink is protected against tipping, spilling or contamination as it does not stand on the floor. The cup holder was used very successfully by the main sponsor of the Hannover 96 football team in the HDI Arena and received an enthusiastic response. 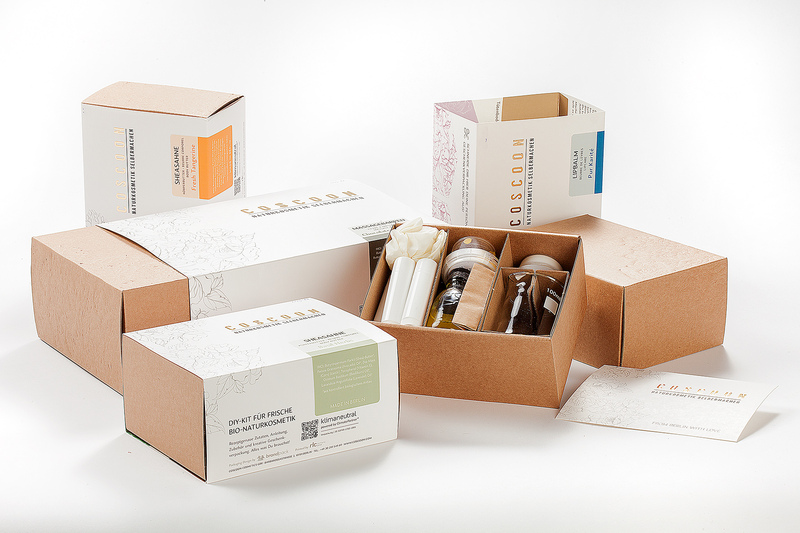 Coscoon is a Berlin beauty start-up with a very special product idea: do-it-yourself natural cosmetics. Pure, refined and natural: all these brand values are supported by the holistic packaging concept. The use of plastics was reduced wherever possible and substituted with cartonboard. Printing on the inside of the sleeve lends a secondary use, for example as a gift tag. After all, these care products are ideal gifts for pampering soul and skin. One of a kind box to hold three different products. The inner compartments are created during the erection of the box: no more hassle with dividers. Perfect match for food service logistics and handling speed at restaurants. In addition, the closing top is unique and easy to close: just press the lid on the sides to interlock them with the side flaps. Guaranteed tamper-evident closure with the fresh lock system. A tuck-in flap closes the pack safely; all you need to do is tear open the counterpart to open the lid and enjoy your meal. 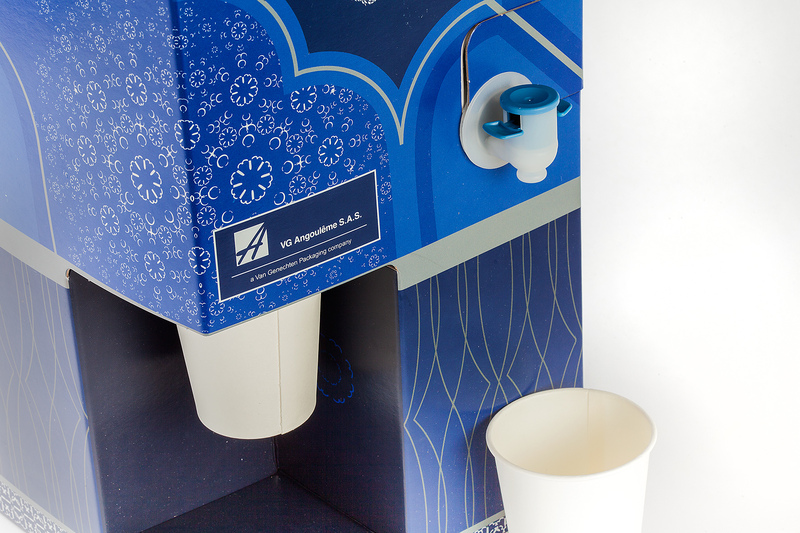 A new innovative concept to dispense water, soft drinks, juices or wine, including a dispensing system for cups, based on a glued carton with a separate placeholder to hold the unit with the cups and drinks: a unique combination of dispensing the cups and drinks while standing on a base to enable easy filling of the cup. The transportable five-litre water fountain requires no maintenance or electricity; an easy to use all-in-one concept. 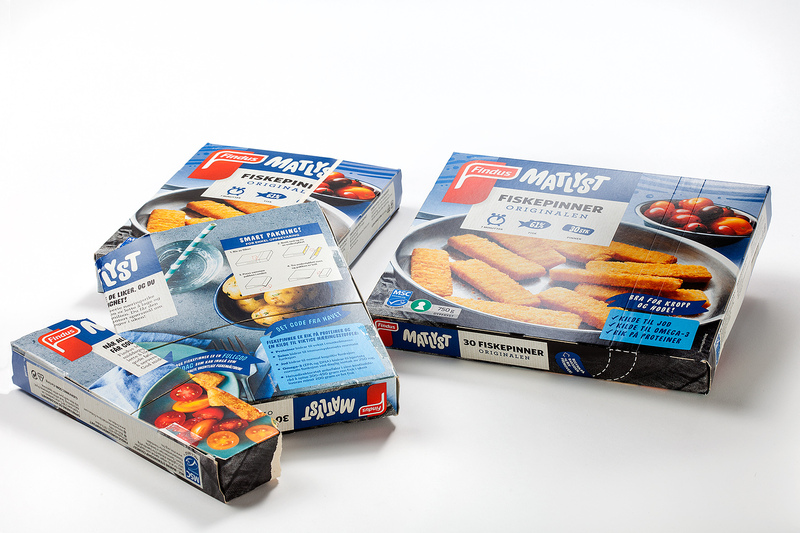 The ‘Twin-Pack’ is a specially designed Fish Finger carton for a market-leading brand in Sweden, Norway and France. 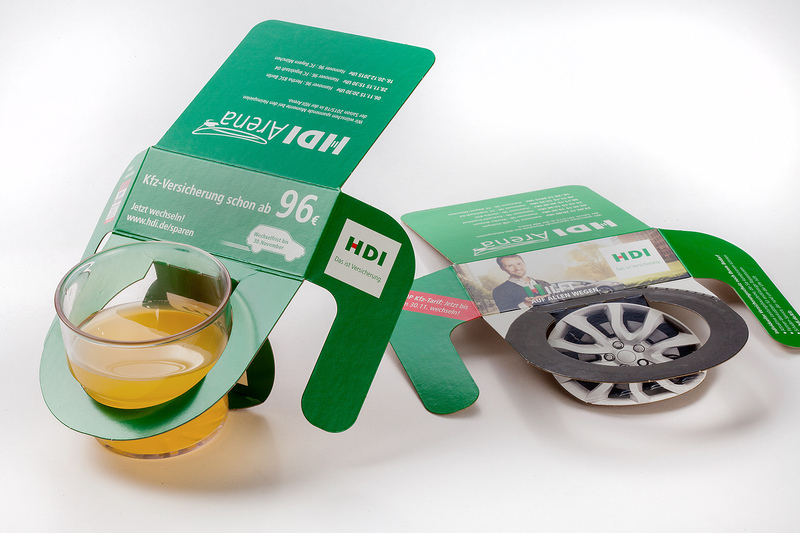 The novel carton was designed to deliver high quality products and exciting new ideas to its customers. 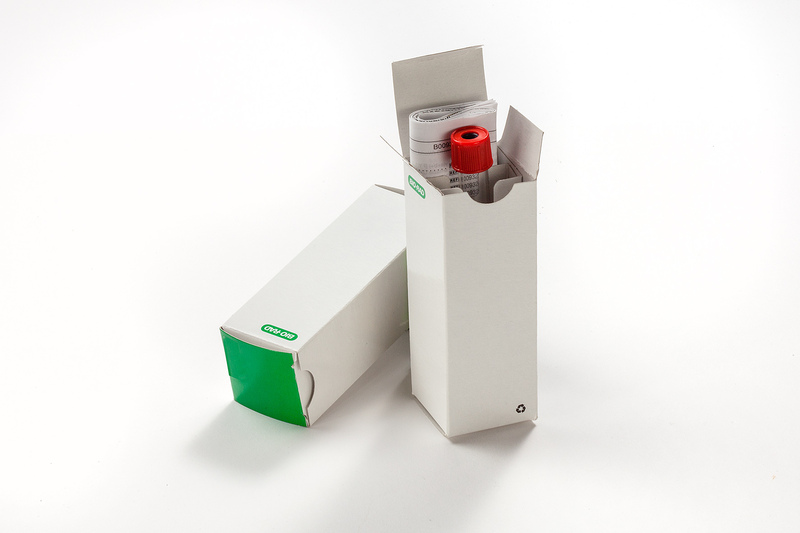 The robust pack offers both optimised shelf presentation and added-value features such as an easy opening device. In addition, the resource-efficient design takes up less room in the freezer and has resulted in a 40 per cent board reduction. The cartonboard pack is a sustainable replacement for the brand’s original tin design. 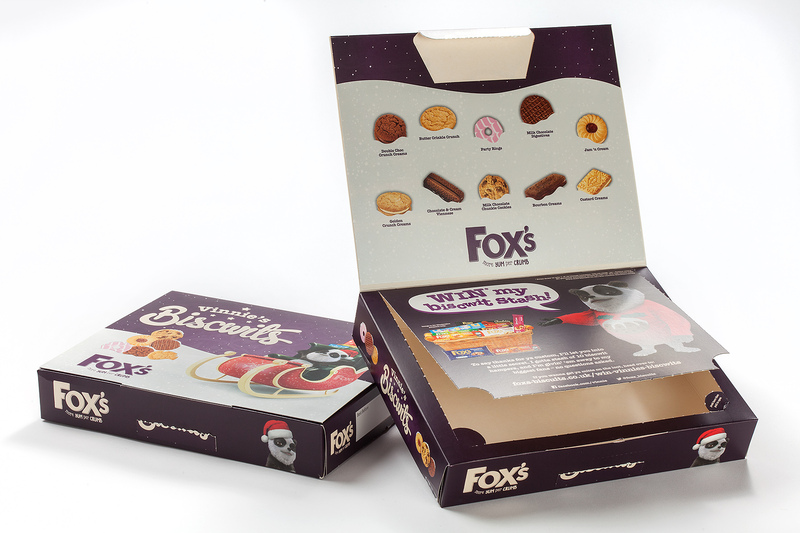 The carton is delivered flat packed, thus reducing pallet requirements and enabling Fox’s Biscuits to minimise logistics and inventory which in turn reduces their carbon footprint. 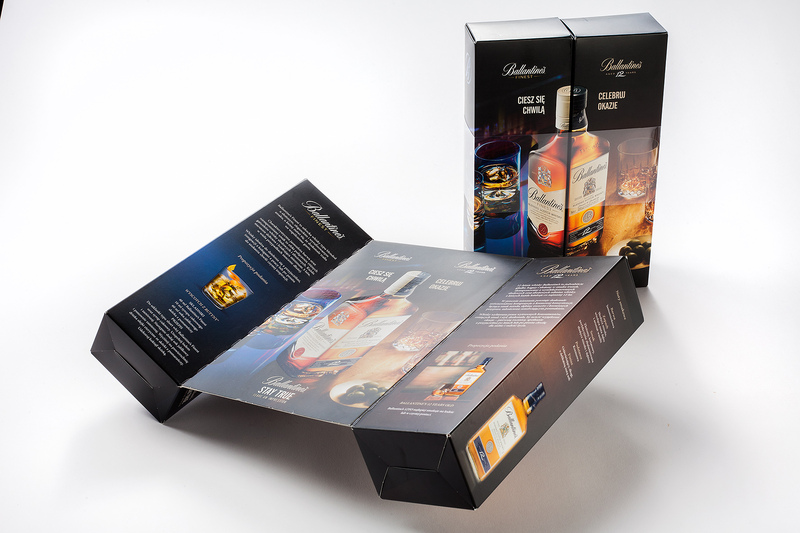 The premium carton design features a double wall lid, providing a print area when opening the pack. Added value features are ease of opening and a tear away part of the pack doubling as an effective marketing space (linking to a consumer competition). A packaging that stands out through its apparent simplicity and understatement. Interest and curiosity are created through the diagonal cut which divides the symmetry and the strict geometry. The experience of opening and unpacking is unforgettable for both the buyer and the recipient of the gift. The packaging also allows attractive placement in the retail trade: a perfect display with an open top, held together with an outer sleeve. This new design of the interior has been developed for an existing outer carton pack, which now can be glued and set-up using a semi-automated packing line. This new set replaces the completely manual set-up of the old design and eliminates the need for a dedicated transport pack. 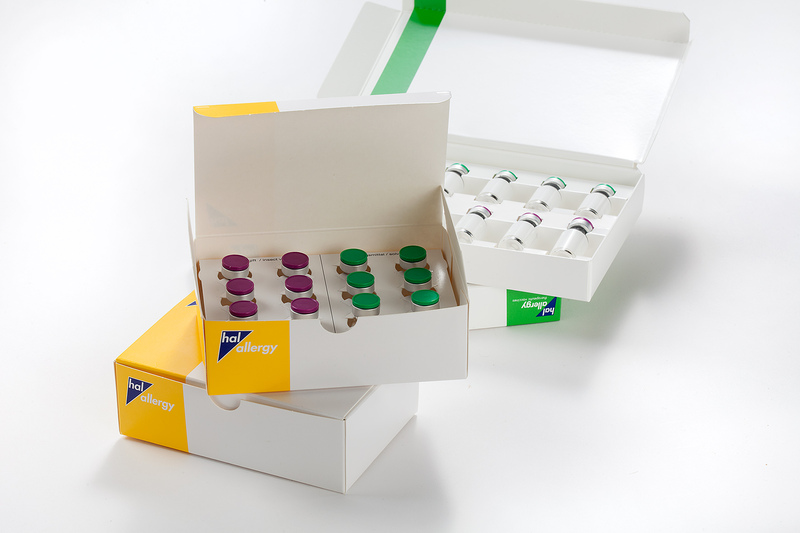 The printed colours on the back of the interior are intended to assist in filling the cartons correctly with the vials having corresponding cap colours. The reduced amount of material used has a significant positive environmental effect. A convincing design of impressive beauty: dressed in elegant black with an embossed, gilded logo and a tantalising glimpse of the pods, this packaging captures the promise of L’Or: true, fast and uncomplicated coffee pleasure with perfect quality. The clever and extremely compact arrangement of the pods allows easy access. The beautiful packaging design is also efficient, supporting a filling speed of almost 9,000 folding boxes per hour with minimal wastage. 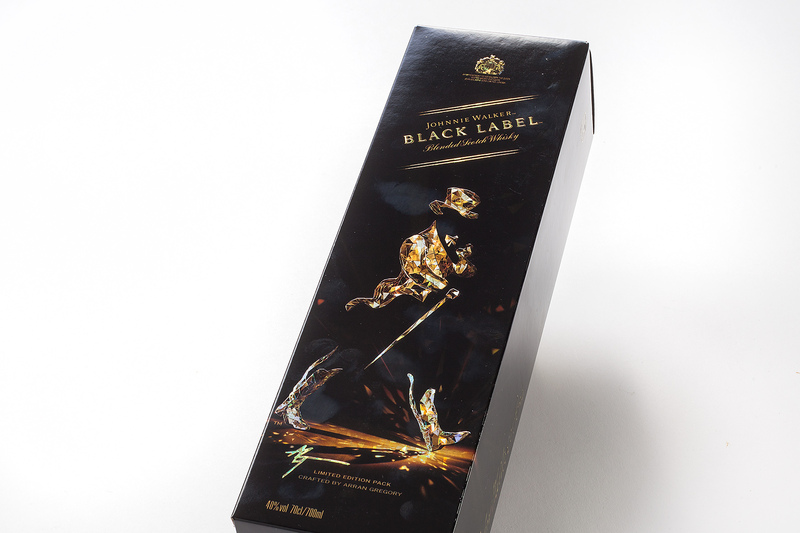 This Limited Edition pack displays the “striding man” on the front panel, which is a photo of a sculpture by Arran Gregory, made of real glass. Duran Dogan has enhanced the branding of the striding man by using a holographic substrate with a broken glass pattern and by applying 3D embossing. 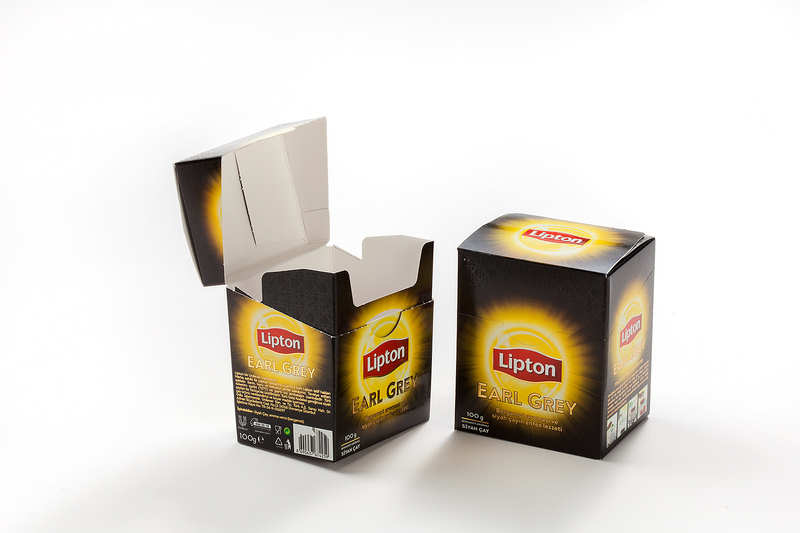 This gives the carton a dramatic premium and eye-catching look that stands out on the shelf. The carton was designed to be a replica of a metal box. The main objective was to maintain the look (design-wise and layout-wise) when switching to a more sustainable packaging. The metal effect was replicated by using a metallised substrate onto which a combination of effect gloss and matt varnish was applied. As a result, the new packaging has become more attractive on the shelf, and much more sustainable and functional than the previous version. 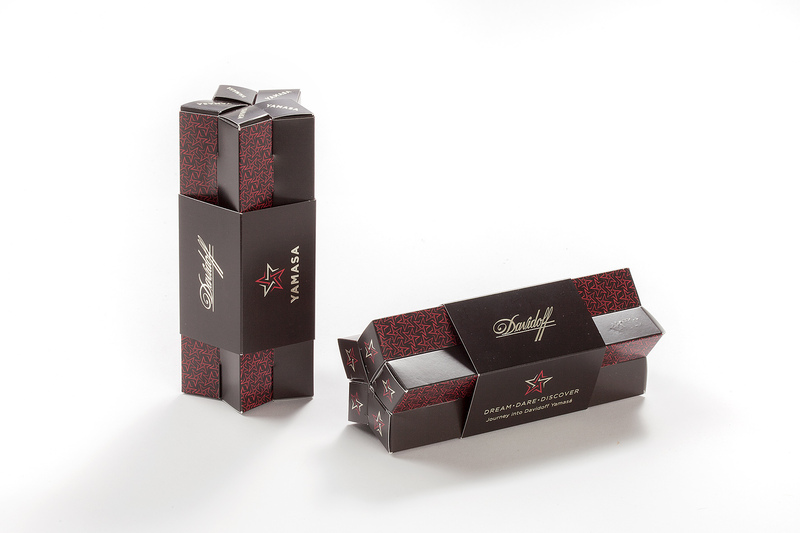 The set consists of one large gift box to hold four small cube boxes with a variety of liquorice flavours. 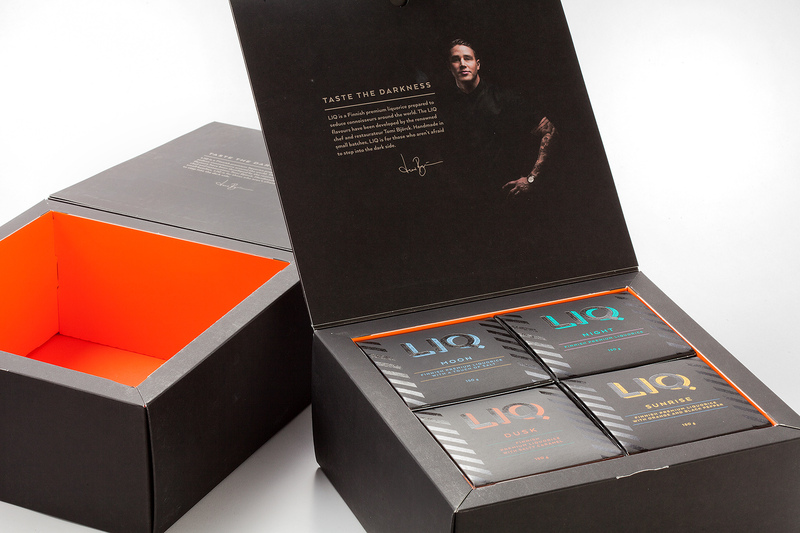 All sets of boxes have a dark black graphic design with bright colours highlighting the texts and logo. A combination of soft touch and UV varnish was applied. 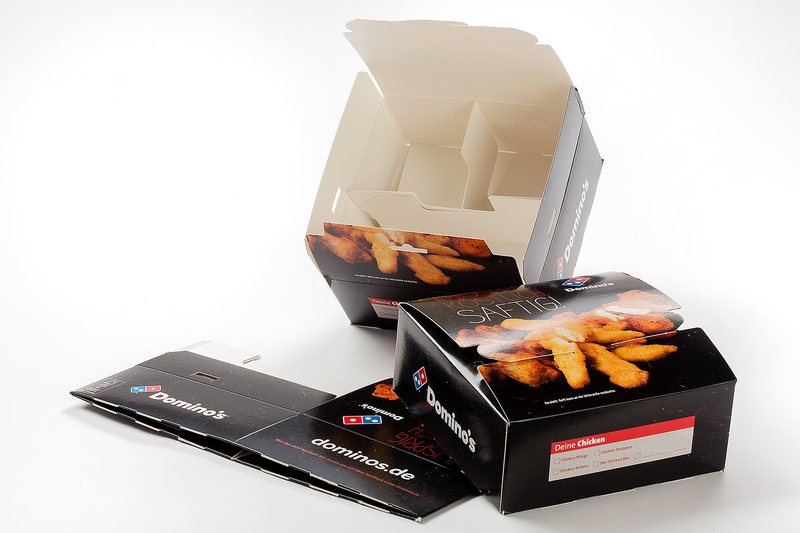 All boxes are also printed on the inside in a single colour, which varies for each flavour. The high quality cardboard helps to reach more natural and matt look and allows for excellent printing quality. A delightful marketing idea highlighting the new Pago “Love life” slogan. 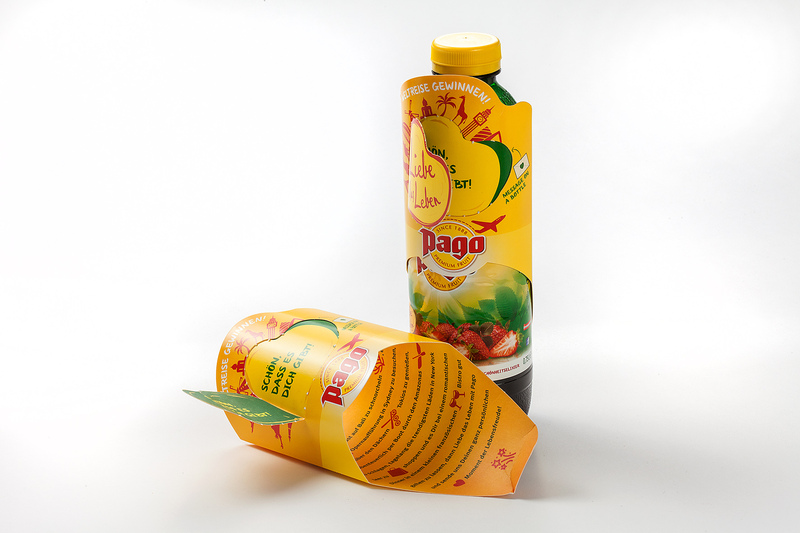 This easy-to-produce and cost-effective cardboard sleeve is the perfect on-shelf marketing tool as it entices the target group, calls for interaction and increases in-store awareness for the Pago brand. The cardboard heart is intended to be used for making joyful photos to participate in the prize draw to win a trip around the world. The heart can also be used as a gift tag. 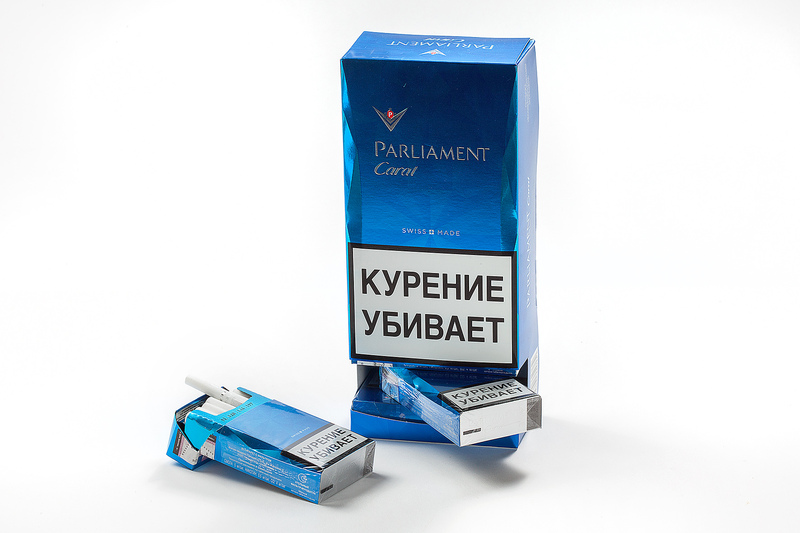 The design of the pack gives the consumer the freedom of choice – two opening options on the top. The classic opening is the push-in tab; the new mechanism is a push-in, squeeze and pour mechanism, described on the side of the pack with some easy-to-follow illustrations. The new opening makes it more convenient for all ages to open the pack. A clever solution without using more material or requiring changes in the filling lines. A satisfying solution for all parties; the brand owner, the consumer and the cardboard converter. 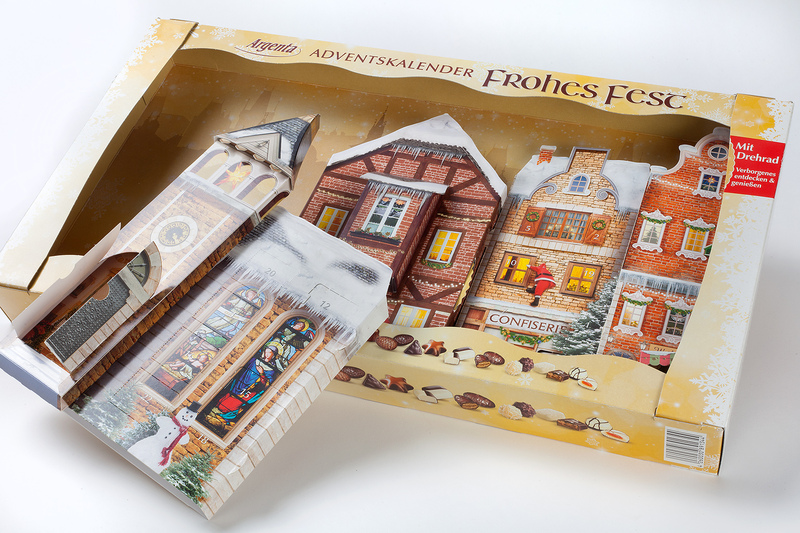 Impressed by GPI team’s innovative concept, Nestlé adapted its strategy in order to progress this specific design for their After Eight Easter Egg carton. 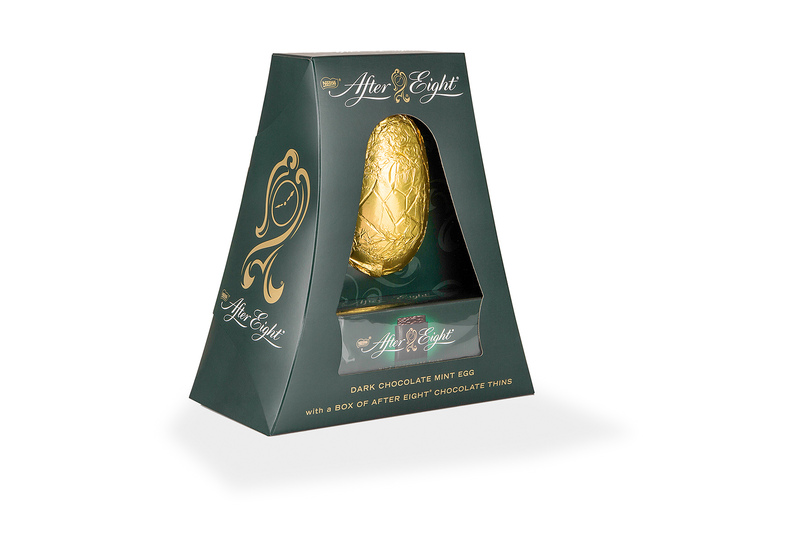 The design enables the consumer to acknowledge at one glance the unmistakable colour signature and clock silhouette of the After Eight brand, creating an emotional and nostalgic connection with the product. In addition, GPI designers have developed a clever insert to hold the product securely in place without the need for vacuum forming. A solution which exemplifies the heritage of cosmetics. The cosmetics inside contain only 100 % natural products and this is reflected in the packaging that consists of FSC carton only. Printed on uncoated material, this gives that distinct natural feeling. This range of products looks entirely different on the shelf in the shops and distinguishes itself from the competition. 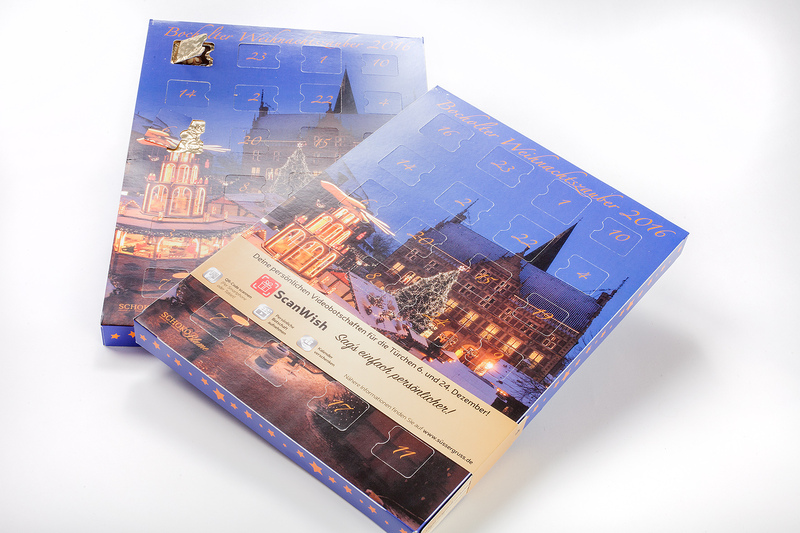 Cartonboard was also used for the inlays to result in recyclable packaging. 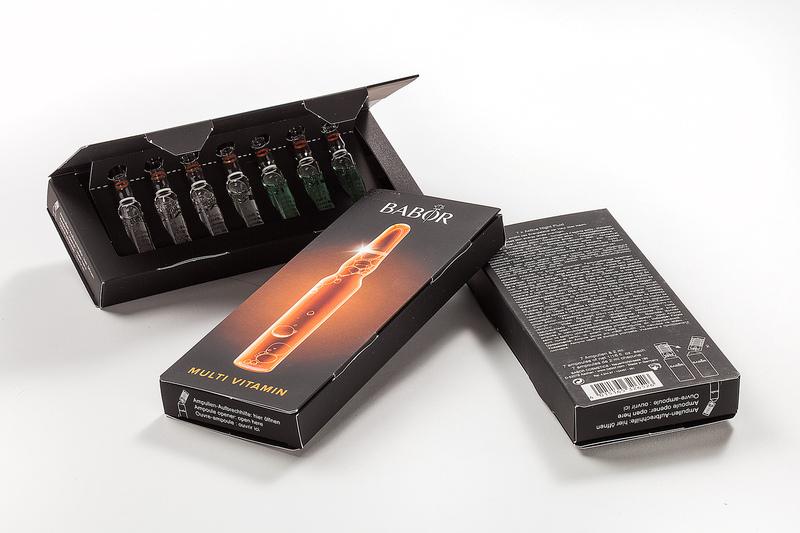 The embossing emphasises the traditional style of this range of packaging. 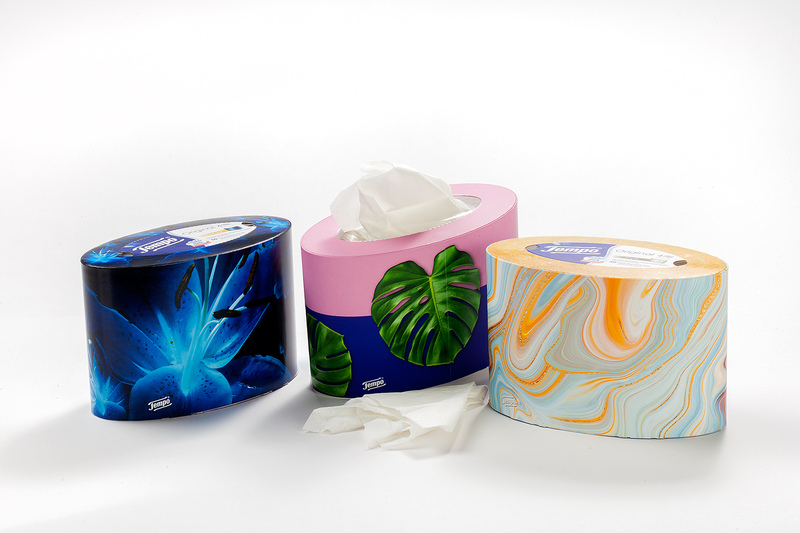 A unique, oval tissue box in highly attractive colours with all-round decorative sophistication, where functionality and elegance go hand in hand. Dispensing the product is extremely easy. The oval shape is unique and the first of its kind for this type of product on the cosmetics market. The consistent use of cartonboard makes this carton fully recyclable. ScanWish offers a unique customising option for the customer after purchase. This is done by using a QR-code applied to the pack, which allows a video to be played online or a photo to be displayed. 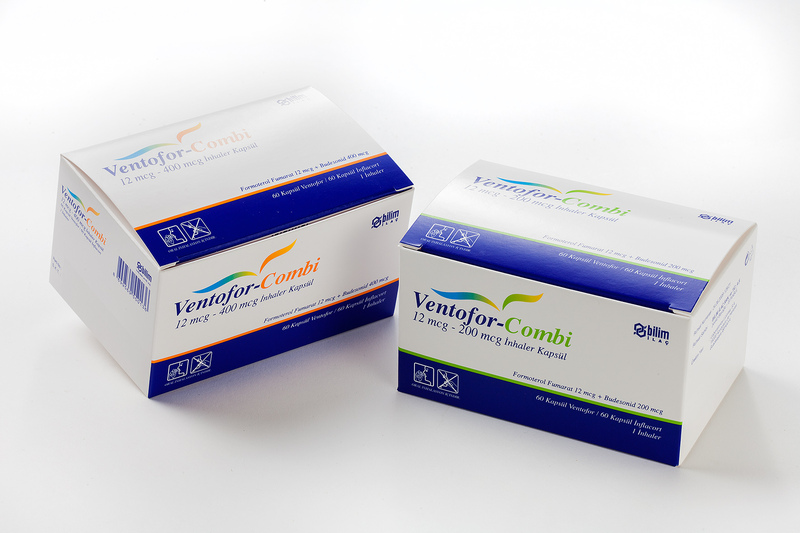 This type of customisation is inexpensive for the manufacturer as existing packaging can be used. Nothing needs to be changed on the product other than applying the QR-code, allowing high volume print runs to continue. A one-piece, pre-erected dual compartment box for food service, where the content is separated into two compartments to prevent the chips being soaked with sauce from the curry sausage. The compartment for the curry sausage has no holes and therefore the sauce is kept inside, whereas the chips compartment has several holes to keep the chips crunchy and to allow water vapour to escape. Closed, it is safe for carrying. The packaging can be produced on a standard high-speed erecting line (with some modifications) and has not been seen in this segment before. 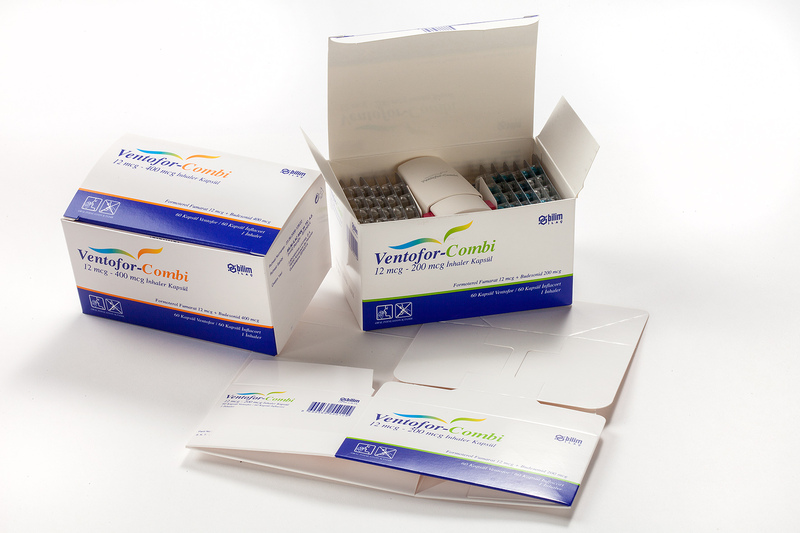 This packaging series consists of three different box structures. 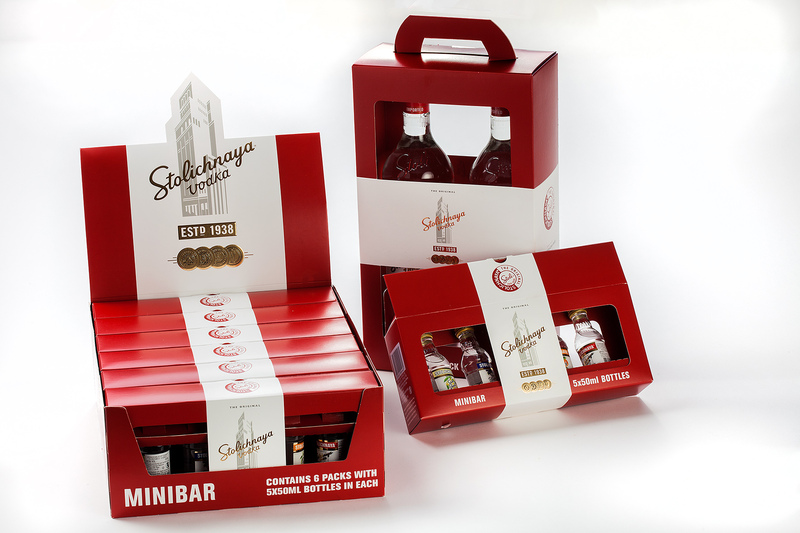 The main colour theme is red and white, the colours of the Latvian national flag, which give the product a sense of pride – together with the thick cardboard for heavy products. A successful combination of the structural element and graphic design gives an impression that there is a white sleeve on all the boxes, although the boxes are made of one piece. 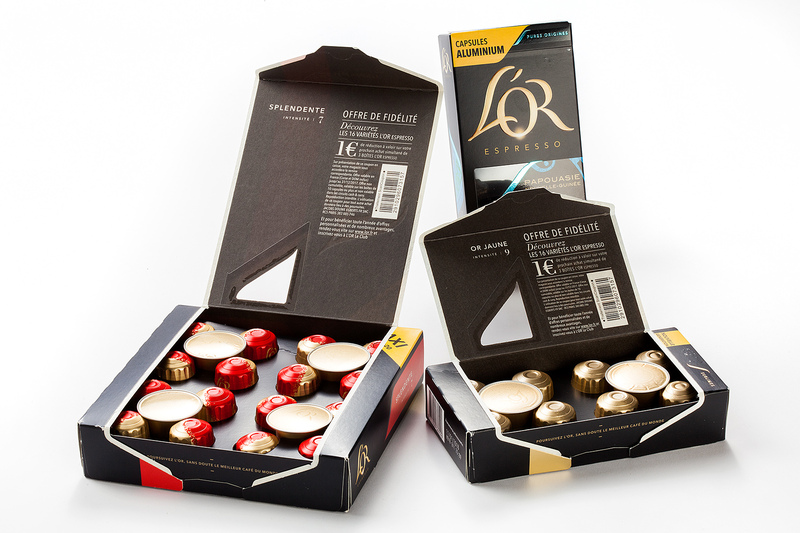 The twin pack and minibar boxes have large cut-out windows, making the renowned product inside easily visible. 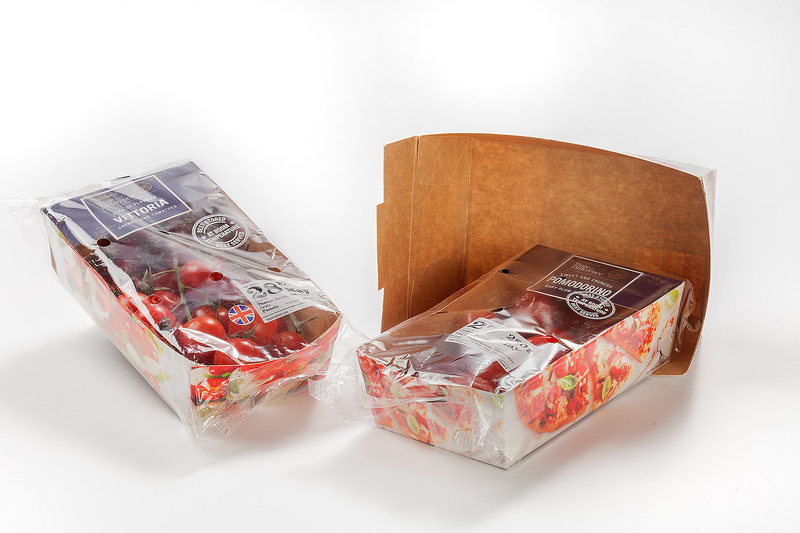 This is a cartonboard pack format for the fresh produce category, virtually free of plastic. It helps retailers achieve a more plastic-free aisle. 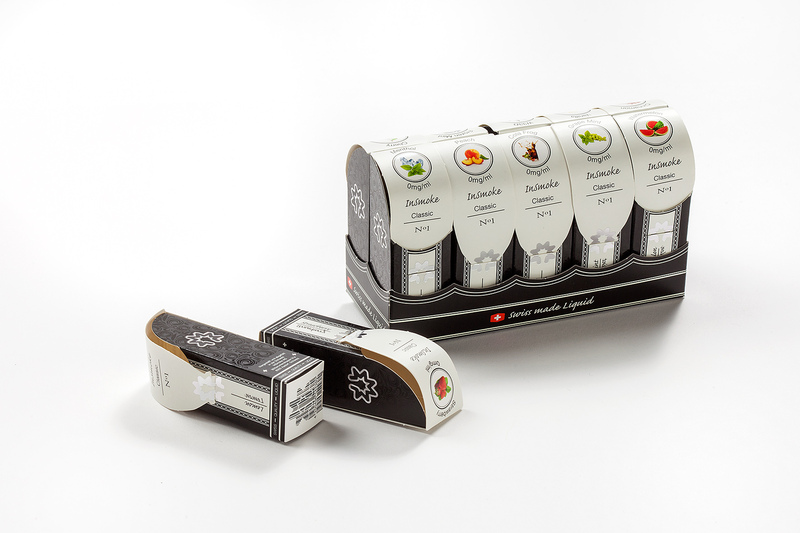 The rigidity and robustness of the cartonboard protects and promotes the delicate produce and has an organic feel. 360 degree branding with reverse print for recipe ideas are all part of the pack design. The basket is made of fully recyclable FSC cartonboard. 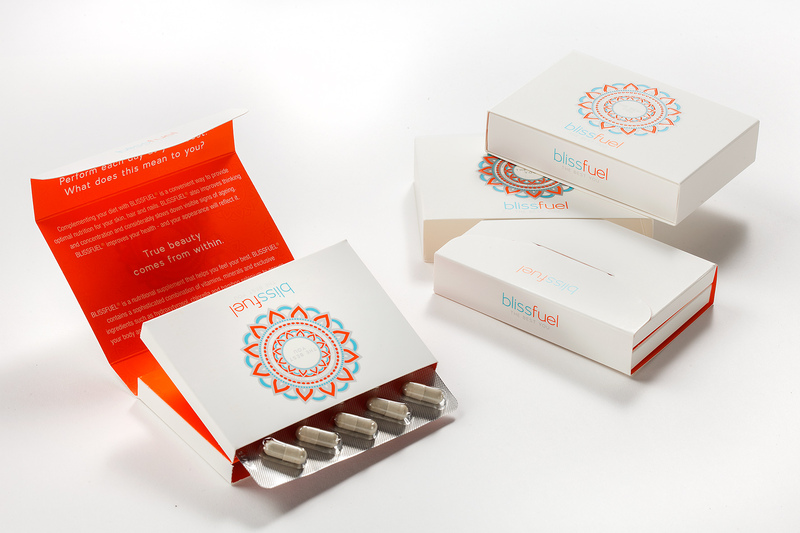 International beauty guru Tom Sebastian has created a capsule that makes you look and feel younger. The structural designer, graphic designer and customer worked together to find the best pack. 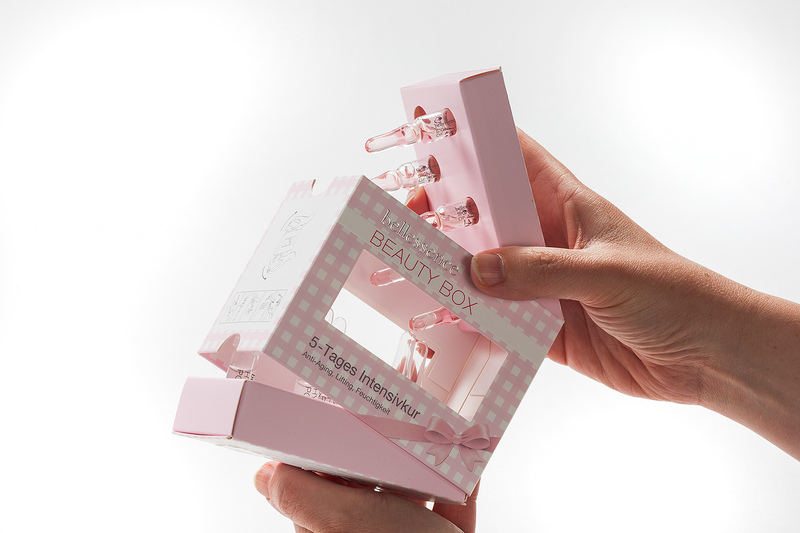 Although the box is complex to make, for the consumer it is a nice and easy to handle beauty case. Main goal was a two-walled envelope which can easily be filled. The development took seven months and the result even went beyond the customer’s requirements – an easy to fill envelope. Brand Owner: Bilim İlaç San. ve Tic. Structural Designer: Lithosan Basim Yayim Ambalaj Sanayi ve Tic. Graphic Designer: Bilim İlaç San. ve Tic. A combination of functionality, safety and sustainability: in addition to its protective function, user-friendliness was extremely important. 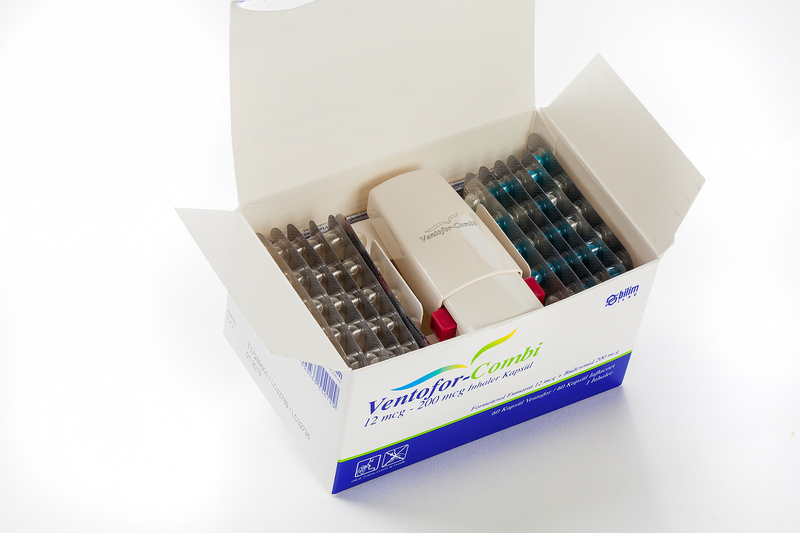 The pack was to be opened quickly by the user and to allow easy removal of the vial. The packaging is machine-glued in a single run. Its sustainability is underlined by the use of recycled materials. 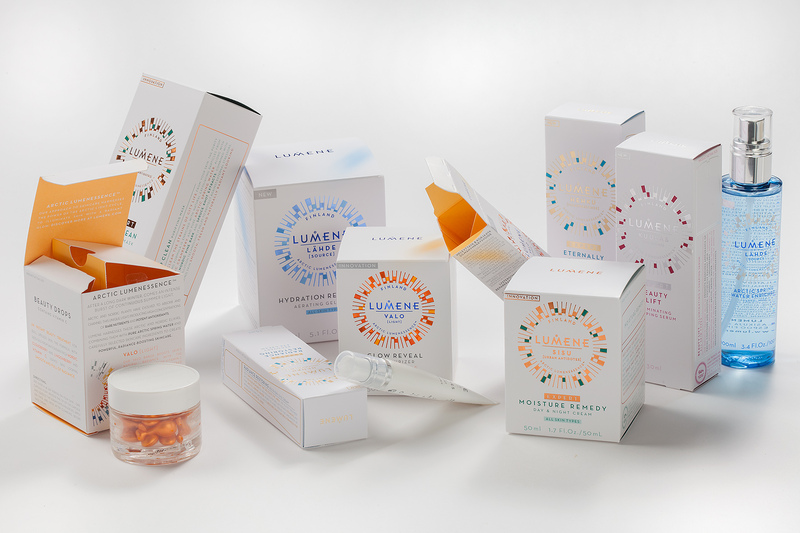 The Lumene cosmetic series displays the “wheel of light” and when looking at the pack from different angles the light reflects the micro-embossing. 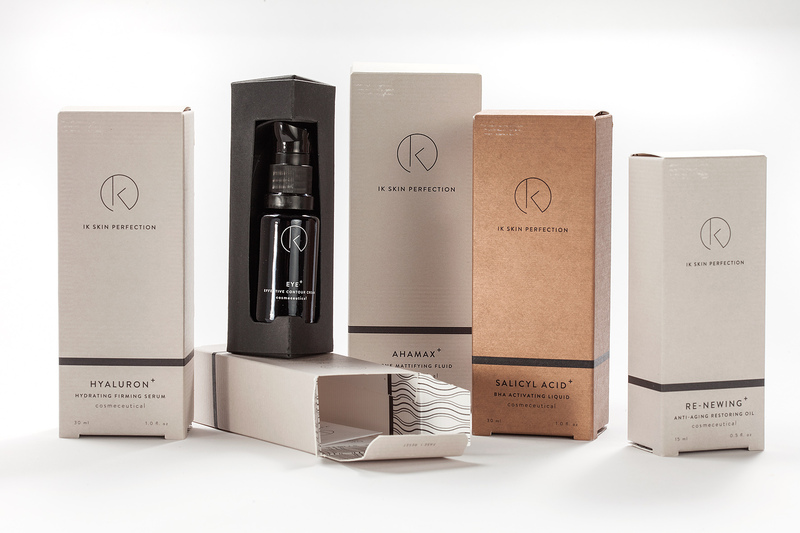 The packaging design represents light, radiance and nature. The inner compartments hold the products. The inside printing also reflects the basic colour. The folding cartons are delivered as a pre-glued flat blank and are erected when needed in order to save space during transport and storage. All folding cartons can be erected and filled fully automatically. There is no film lamination, only mono-material cartonboard. The Yamasa brand contains a star in its logo and this was to be reflected in the packaging design. To achieve this, five diamond-shaped folded cartons were lined up together with a plug-in connection. When these five individual packs are assembled, they represent a star. This is held together with a banderole with plug-in connection. The folded carton also has the advantage that a single cigar can be removed from the pack and remains safely packed and well protected to take home.